The more I have this, the more I fall for this dessert, totally love the personality of this dessert. It’s rich, creamy and just melts into your mouth. 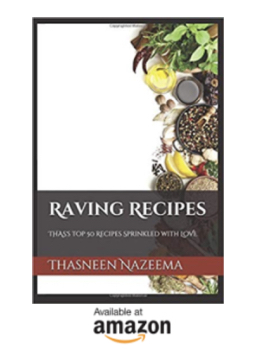 It can be made with less effort and with ingredients always hanging around in your kitchen. Very flexible dessert, each time I make this, I try out different flavor and all came out pretty yummy. 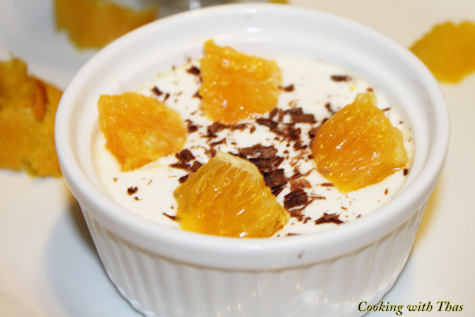 Of all the flavors, I love the orange flavor the best, the tangy flavor of the orange gives this creamy dessert an extra kick. 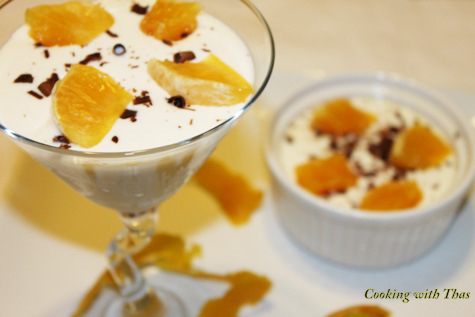 Panna Cotta, an Italian dessert, which means ” cooked cream” is made by simmering together cream, milk and sugar, mixing this with gelatin, and letting it cool until set. To this we could add any kind of flavor, you name the flavor and you have it. Perfect dessert for any special occasions, I am sure just like me you are not going to wait for any special occasions, any day is perfect to have this dessert. If using agar-agar strands, cook 1/4 cup agar-agar strands in 1/2 cup water till it has melted. Meanwhile, heat the cream, sugar, orange peel, and vanilla in a medium saucepan over medium heat, stirring occasionally, to dissolve the sugar. Strain the mixture into a pitcher to remove the vanilla bean and orange peels. Pour the mixture into 6 to 8 ramekins or dessert cups, or into 1 larger dish. Chill, uncovered, at least 3 hours. To unmold, dip the cups in hot water for 10 seconds, then turn the panna cottas out onto dessert plates (or, simply serve in the cups or by the spoonful). 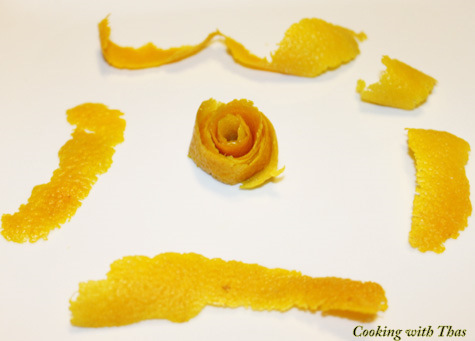 Shave some chocolate curls onto the top of the panna cottas and serve with the orange segments. You could pour this in different kinds of fancy containers and chill it or even shot glasses, martini glasses works too. You could even use Agar agar instead of Gelatin: Add 1/4 cup agar agar strands (2 inch cuts) to 1/2 water taken in a sauce pan, and heat it to dissolve the agar agar, strain it and add to the cooked cream. You could pour this in different kind of fancy containers and chill it or even shot glasses, martini glasses works too. You could even use Agar agar instead of Gelatin: Add ¼ cup agar agar strands (2 inch cuts) to ½ water taken in a sauce pan, and heat it to dissolve the agar agar, strain it and add to the cooked cream.